Hello from Minneapolis! I've been spending the last couple days hanging out with my dear friend Eki here in her city just to get away from things for a bit. We've been having several conversations that are getting my creative juices flowing and of course also eating a lot of delicious food! 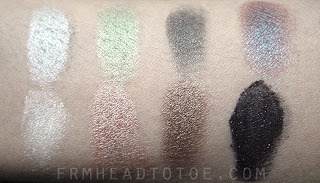 One of the items that I got that I've been sooooo lemming for for a while now is Wet & Wild's Comfort Zone 8 pan palette. The 8-pans can only be found at Walgreens and Walmart as far as I know but I seriously think it's worth the trip to pick this baby up. At $4.99 it has a lot of bang for the buck. Here are my swatches. I will say that the texture is super buttery but also very prone to fallout since the shadows are so soft. In fact, I already dropped mine once and the pale taupe shade broke (cry) so I will have to see if I can press it back together. 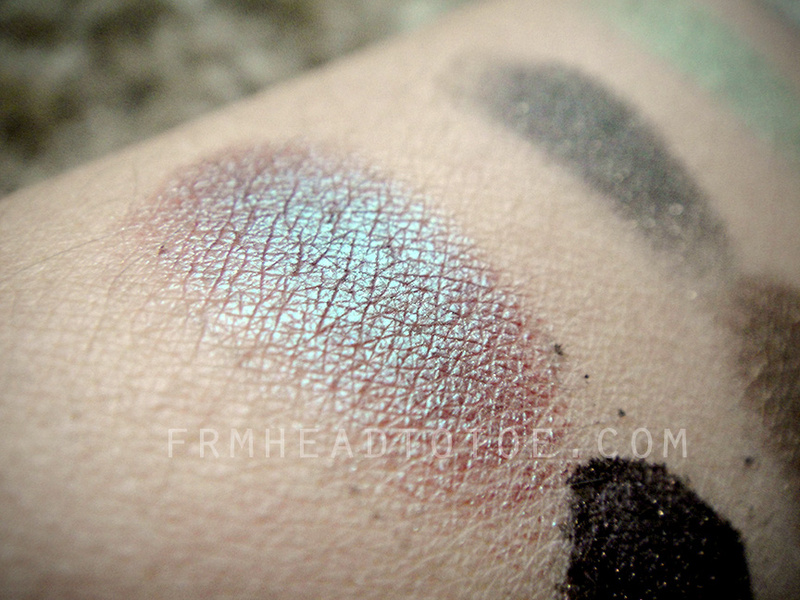 Overall, the colors are very vibrant and the pigmentation is impressive for a drugstore product. Just because I'm obsessed with this shade, here's a closeup of my favorite color which you may recognize from my Wet & Wild Night Elf Palette look. It's a reddish brown with a strong green flash similar to Mac Club or Rock & Republic Lawsuit. 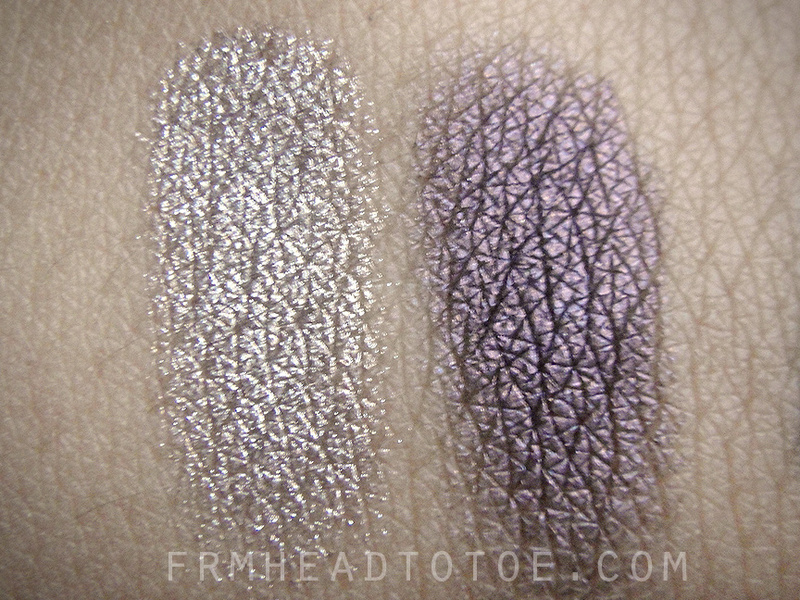 Next are swatches of the L'Oreal HIP Eyeshadow duo in 510 Electrified which has a gorgeous pale metallic taupe and a lovely deep purple to contrast it. The quality on these is excellent, which is saying something because I've tried other shades in the HIP line that I was less than impressed with. In order, here is the Milani Liquif'eye Pencil in Black, Wet & Wild cream eyeliner, and Maybelline Mineral Power Concealer in Cream. This concealer is way too light for me, although it was the darkest shade available at my CVS. Finally, here is the Wet & Wild blush in Pearlescent Pink and Covergirl Natureluxe Foundation in 325 Sandstone. It looks light here on my hand but it actually matches my face fine. Now I'm gonna go get ready to see some elephants, monkeys and beautiful paper lanterns! :D Yeah! cool haul, LOVE the hip duo....i want to try their metallics....i have a couple other duos that i love by them. yay for a drugstore haul! I hope the maybelline concealer works because i always have acne prone skin and i wanted to look for something that can conceal and help it. I love the powder you got from physicians formula, it seems to suit you perfectly on video, i also love the HIP eyeshadows! So pretty, great haul! Love drug store hauls. 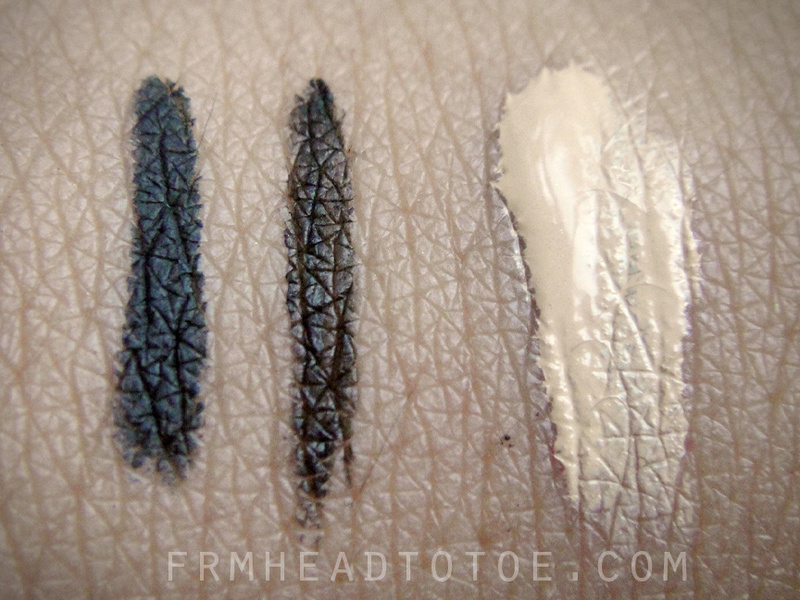 Holy that wet n wild liner is such an intense black. Haven't bought any drug store stuff in while but everyone keeps talking about those eye shadows from wet n wild. Will have to check them out. Jen, you look happy after a haul! lol... how does the "last" time of the WNW shadow(s) for you? Even with primer, I find that they easily wash out during the day! Nice haul Jen! I like wet and wild e/s! Can we expect an update on your thoughts about Fairydrops and the Chanel foundation soon? aww this just makes me want to go shopping =x which is very bad for my wallet! Afte watching your vid I picked up the Milani eyeliner! I worked out and it did not budge at all! Great buy! Hello! This isn't related to your post, but I was wondering if you could recommend any products for shine control? I would really appreciate it! Great haul! I would really like to try the W´n´W liner. I picked up the Comofrt Zone palette after watching your video C: I really do love the pigmentation and the butteriness! Thanks for sharing Jen! Hey Jen! The CG in Sandstone also matches me well... and the maybelline mineral power concealer is actually my fav drugstore one. I use shade "sand" and it works out very well :) If you decided to try it out again definitely check out that shade! if you're in minneapolis until thursday, i hope you stop by the state fair! the food is delicious! p.s. i love your blog! i've told all my gf's about you! Jen!! Thank you much for doing a drug store haul and sharing it with us! The drug store is basically the only place I go for make-up and I usually go to CVS so I'm glad you picked up some products there. I'd love to see reviews on the L'Oreal and Covergirl goodies you picked up. very informative as usual. i'm not really feeling the W/W eyeliner. it actually sort of smears on me, but the shadows are great (agree re: the fall out). Aww. It would had been great to meet you. I live in the twin city area as well .... Hope you had fun here. Your post really makes me want to go to drugstores right now. On an unrelated note, I did a post on blogs that make a difference and yours is one of them. Please check it out if you have a min. Hi Jen have you ever discovered the brand CanMake? I'm Filipina and I recently had a trip to Singapore, I picked this up at the Watson's pharmacy over there. It's a Japanese drugstore brand and I love this product...I thought you might like it, too...if you could find it on ebay or Japanese stockists in the U.S.
i loved the haul! 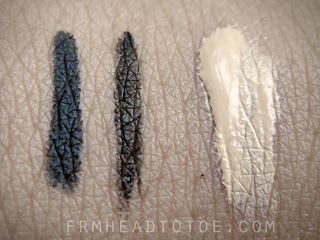 i wanna try t hat wet n wild liner now! Hey Jen I just picked up the comfort zone palette because of your review! Can't wait to try it out tomorrow. I really liked this post. I am small town girl/momma. Drug store make up is what I can afford and find right now. I want to look my best and use the best products possible. Keep it coming! I would love to see more of these kinds of helpful posts/videos. please please please would you do a tutorial using the wet and wild comfort zone palette? PLEASE! Jen, have you tried the Loreal Metallic Hip Duo in Sculpted? It reminds me of the ever so popular Electrified Duo but instead of a Taupe and Purple, they have a Pink and Dark Purple.